If you have to wear a mask to stand next to it why would you want it behind the walls where your children sleep? 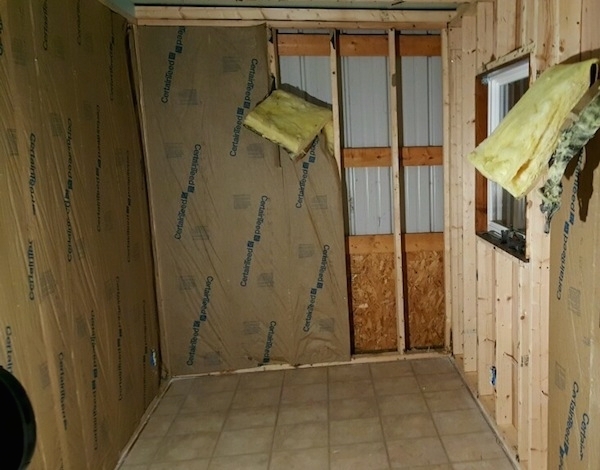 When one pictures the fiberglass insulation behind their walls they think of a fluffy cotton candy type material. That is how it looked when it was installed, but that is not how it stays. Sealed between the walls for years, and even decades, it does not remain fresh and new. 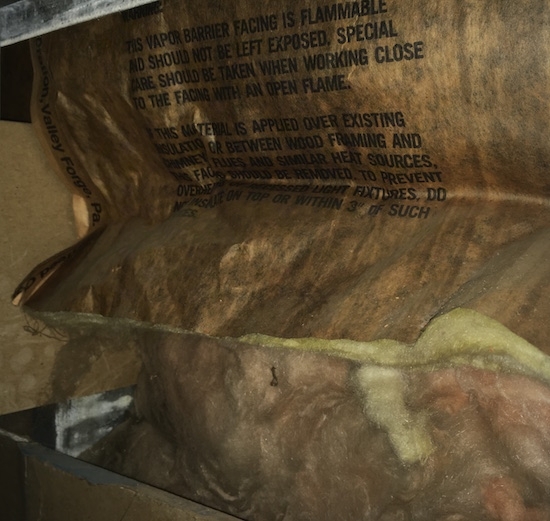 Usually installed in the exterior walls, attics and basements, the fiberglass goes through many temperature changes and the occasional leaky roof, door or window. Dust settles in and holds it like a sponge. 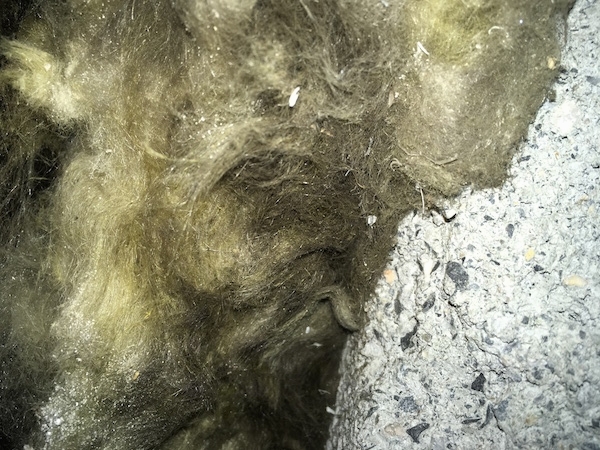 Compromising the air quality, this 40 year old fiberglass is hidden behind an interior wall where it serves no good purpose, even when first installed. Once held together with a binding glue the aged concoction is now brittle becoming airborne easily. Poisoning everyone in its presents as they breathe in microscopic glass toxins mixed with deteriorating glue escaping out light fixtures, electrical sockets and where the ceiling panel and the wall meet. To make matters worse, there is evidence of water damage on the wall which helps break the spun glass down even faster. The fiberglass will be removed, which will greatly improve the air quality of the entire building. 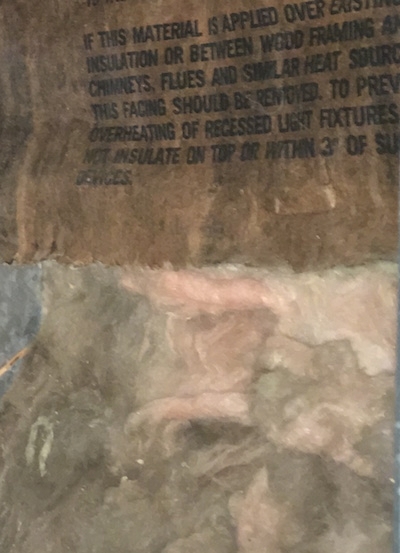 40 year old fiberglass from behind an interior wall. If the conditions do not remain perfect the insulation breaks down. If it gets wet, or is disturbed in some way, be it a roof leak, condensation, or during home improvements, it breakes down even faster and often out gasses. Sometimes mold grows on it. It's not as fluffy as it once was, loosing a lot of its insulating abilities and the paper backing becomes brittle and crumbles to the touch. 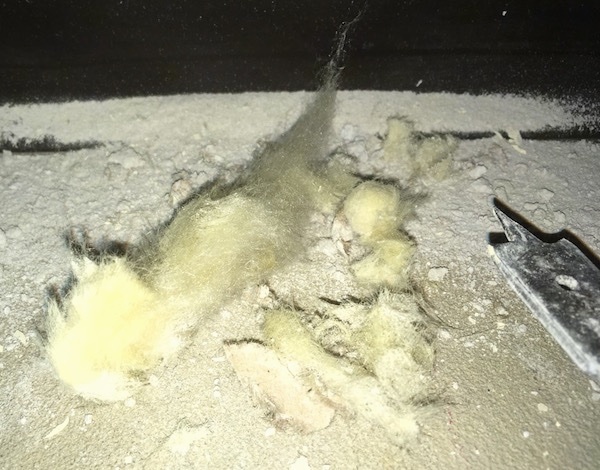 The wind blows outside of the home and air gets into the walls, blowing microscopic dust particles one cannot see with the naked eye out on the inside of the building through electric outlets, light fixtures, switches and/or HVAC vents. 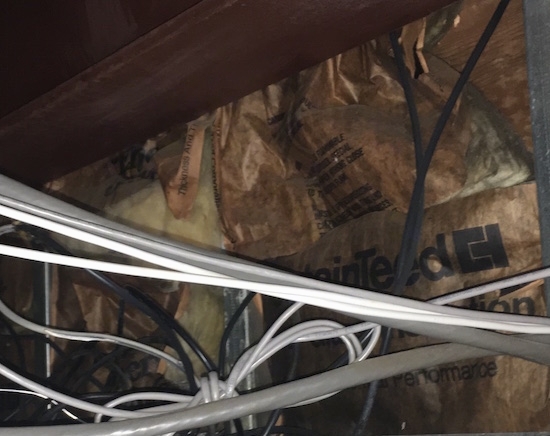 Sometimes the ducts themselves are lined on the inside with fiberglass liners and at some point those liners begin to break down, too. 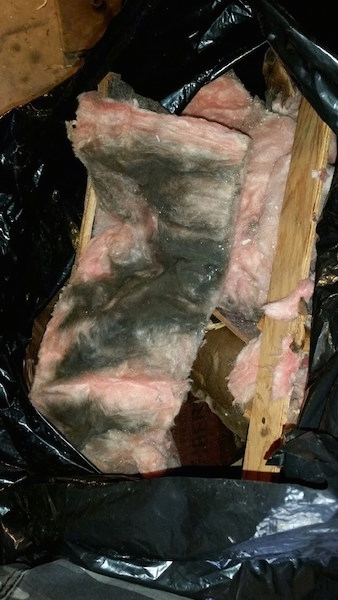 Fiberglass bats being removed from behind the walls in a room that was making people sick to be in. 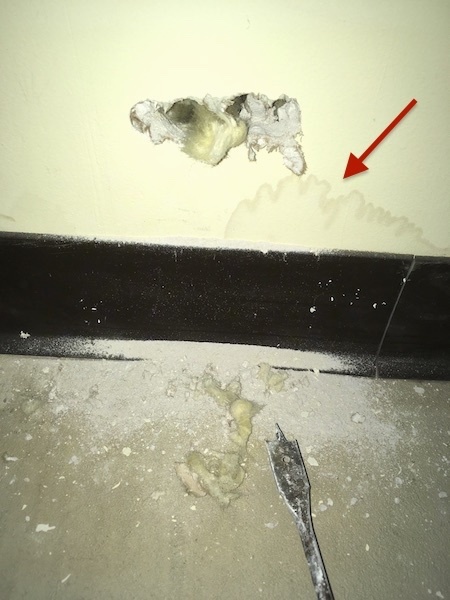 An electrical outlet showing the fiberglass behind the wall. 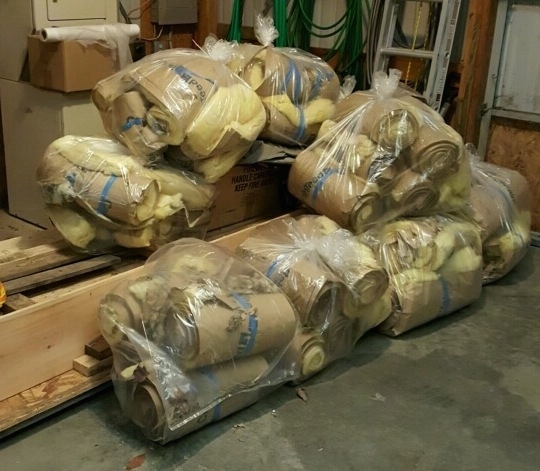 The fiberglass bats bagged up awaiting the dumpster. 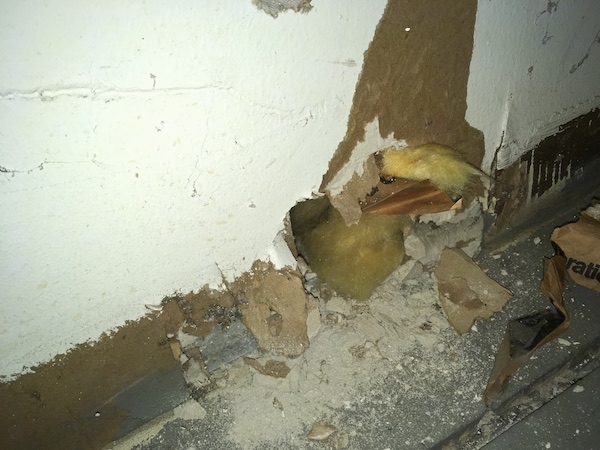 What's it look like behind YOUR walls?